Born in Minneapolis, Minnesota on March 18, 1876, Roy Drake Rogers received his architectural education through a variety of hands on experience and courses at an unknown college in Boston. He gained practical experience by working for the fashionable architectural firm of Andrews, Jacques & Rantoul of Boston, Massachusetts. Upon arriving to Seattle around 1900, he went to work as a draftsman for the architectral firm of Bebb & Mendel (1901-1903). Then in 1903 Rogers formed a successful partnership with architect Robert C. Kerr. Together, the firm of Kerr & Rogers (1903-1908) designed several noteworthy buildings in and around Seattle including including the John S. Brace House (1904); the James Bothwell House (1905); the Cline-Cochran House (1904); Seattle Fire Houses #8, #15 and #17 (1906 - 1907); and the Roebling Building (1905). For reasons unknown, Rogers and Kerr parted ways in 1909, and Rogers formed a new partnership with architect Walter C. Jackson. (1909-12). Together they designed a home for Oles & Agnes Kjos in Seattle (1911); the Frank McDermott House (c.1910); and the John Jackson House (1910). By 1912, Rogers was in private practice. Like many architects of the day, his designs range in an electric mix of period revivals from Tudor Cottages to Dutch Colonial dwellings. Rogers recieved his architectural license in 1924. He reportedly designed many homes in the Broadmoor and Magnolia neighborhoods in Seattle. Known designs include the Theodore Torbeson House (1927); the Abe Sherman House (1928); and several homes for the Blue Ridge Land Company (1931). 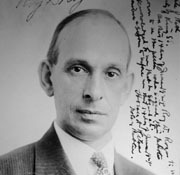 Rogers was active in the Society of Architects, serving as the State chapter president in 1925. He moved to California around 1934 and reportedly designed homes for many Hollywood movie actors and actresses. He passed away in Los Angeles on September 2, 1951. "New Officers" - Architect & Engineer - Vol. 84-85, January - June 1926. WA State Architectural License Application - June 13, 1924. "R.D. Rogers, Former Seattle Architect, Dies" - Seattle Times: Sept. 9, 1951. pg 31.